The Construction Steering Committee is tasked with providing guidance on key issues relating to capital improvement projects that impact SCES. Current committee members include: Jennifer Gans - co-chair, Yvette Greene - co-chair, and Amy Dawson Taggart. If you wish to join the committee please email construction@scespta.org. "The program objective of this addition project is to add needed capacity to both schools, solve accessibility and remoteness issues of the existing gymnasium, improve security and circulation issues of both schools, and improve the overall architectural experience of the facility. Currently SCES has been utilizing four classrooms located in SSIMS. To improve building circulation, these classrooms will be returned to SSIMS and relocated in the new addition." 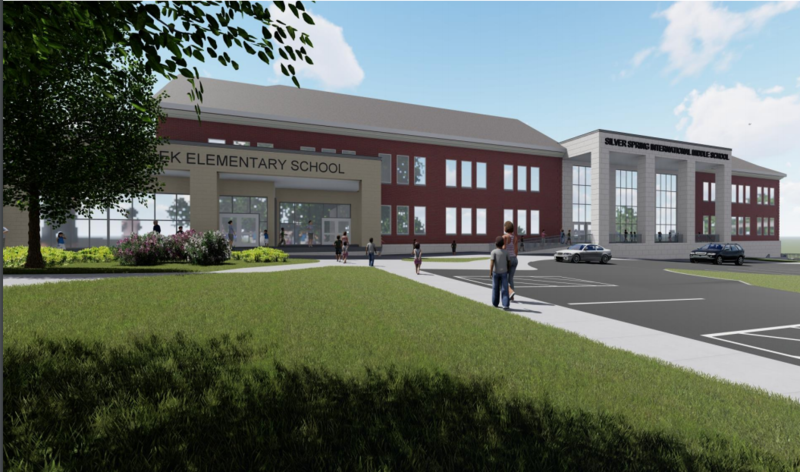 The MCPS project page including project manager, architect, meeting information, history, program objectives, files, school facts and links can be viewed here: https://www.montgomeryschoolsmd.org/departments/facilities/construction/project/ssims.aspx. 1. Join the listserv to stay informed. 2. Join the PTA - more members make our voice stronger. 3. Come to the Construction Information Meeting on Tuesday, April 30th in the SCES gym.